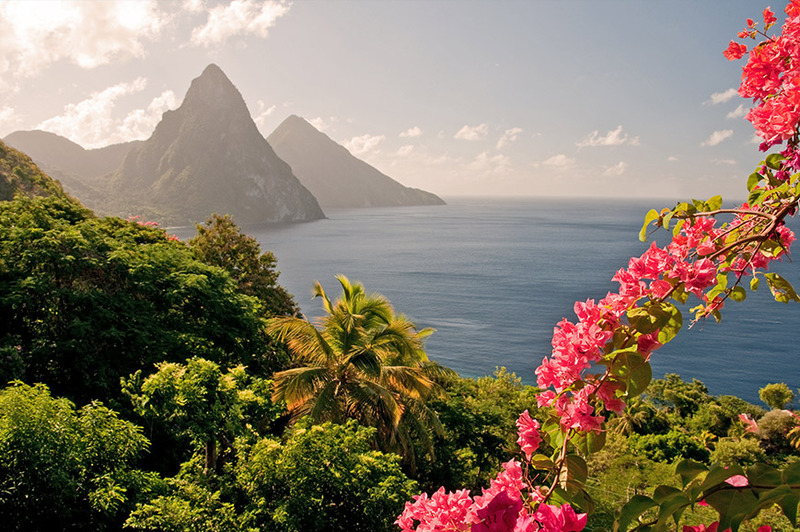 On this all-around-the-world adventure, you'll travel over 31,000 miles, take in 14 cities, 11 countries and cross the International Date Line. 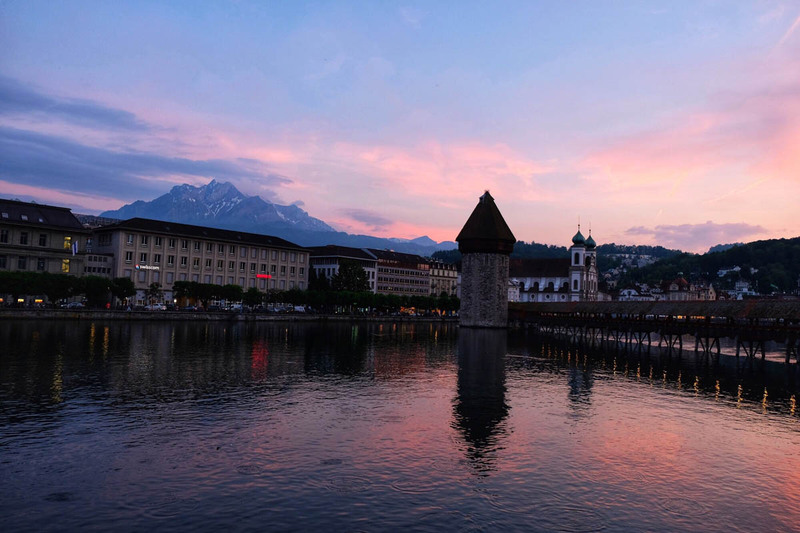 Start your discoveries in Switzerland, where you'll view 'Queen of the Mountains' Mount Rigi, before heading to Rome, with the Colosseum just one incredible highlight. India is next, to see the magnificent Taj Mahal, then spend two days exploring Singapore, with a trip to the famous Raffles Hotel to sample a Singapore sling cocktail highly recommended. 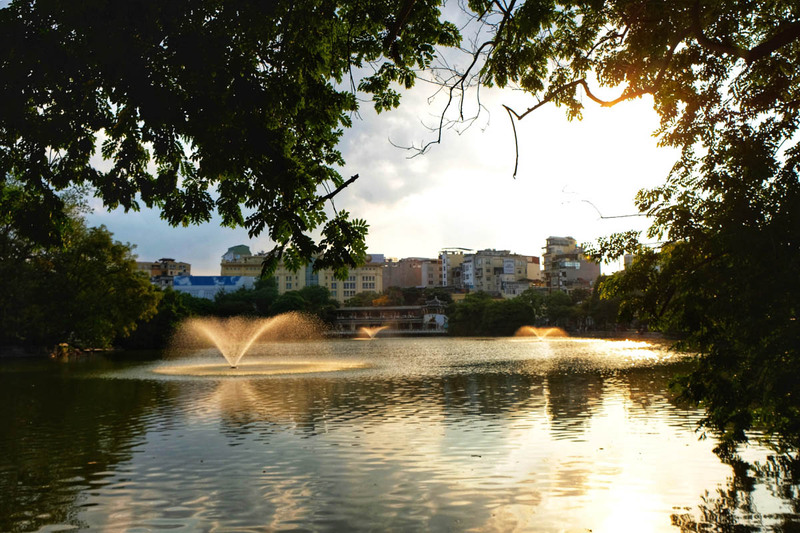 From Vietnam's capital Hanoi you'll head to Bangkok then on to China. 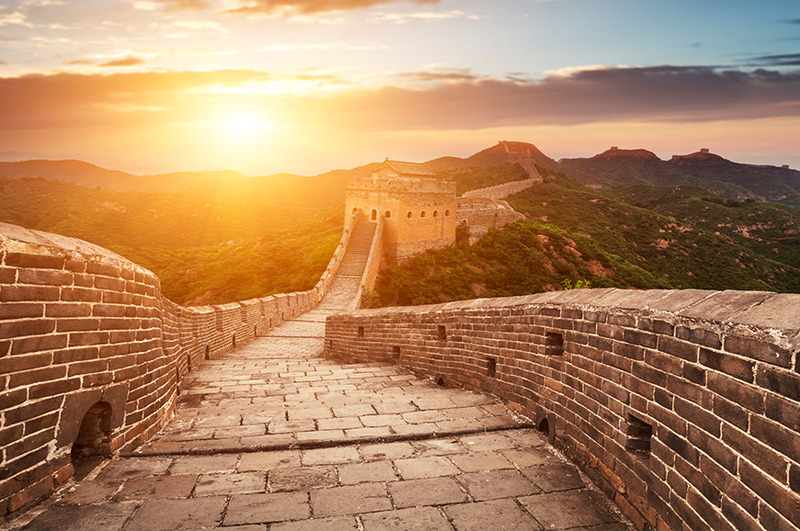 Tick off Tiananmen Square and the iconic Great Wall of China before a two-night stay in South Korea. 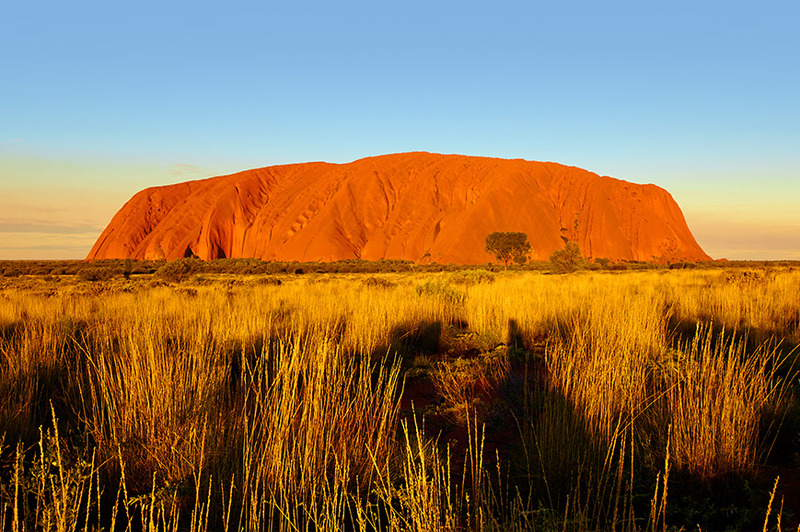 In Australia you'll see the best of Sydney, and in New Zealand you'll take in the incredible sights of Auckland on North Island. The final leg of your journey begins as you touch down in the exciting city of Los Angeles, where you can soak up the glitz and glamour of Hollywood. From the neon-lit city of Las Vegas you can choose to take a flight over the awesome Grand Canyon, and the world-famous sights of New York are all yours to discover before you fly back to the UK. 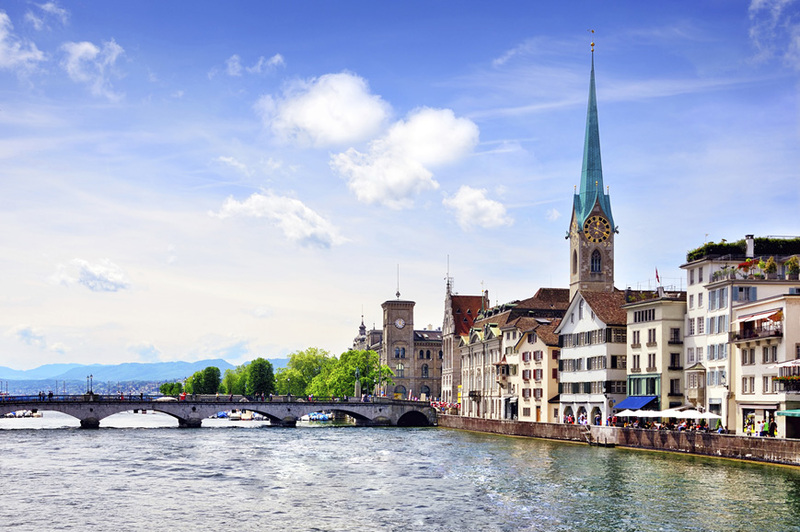 ​Our epic round-the-world tour begins with a flight to Zurich. On arrival, we'll transfer by coach to Lucerne. 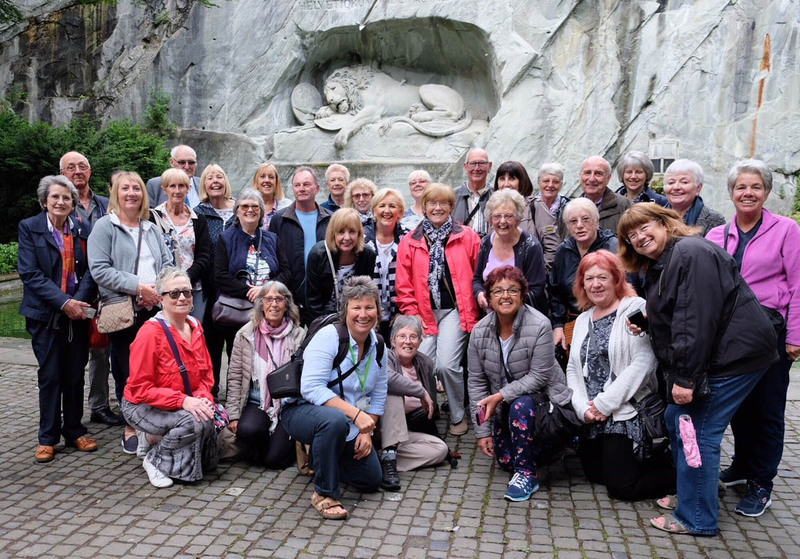 Join your Tour Manager and Local Guide for an included walking tour of Lucerne, set amongst mountains with the River Reuss flowing through. 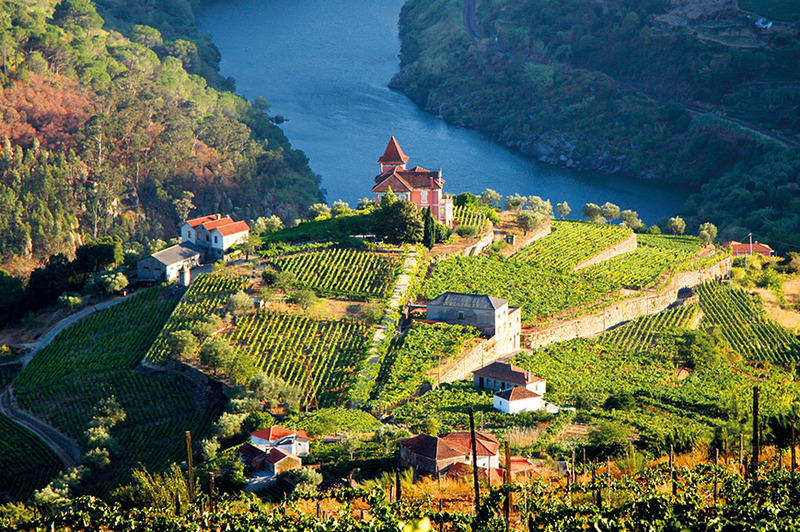 We'll discover the historic wooden Chapel Bridge and the Lions Monument too. 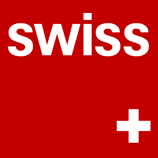 Tonight, we'll gather as a group for a cheese fondue meal, drink and folklore evening at the Stadtkeller Restaurant in Lucerne. ​Mount Rigi is known as the 'Queen of the Mountains' and we'll discover its splendour this morning. 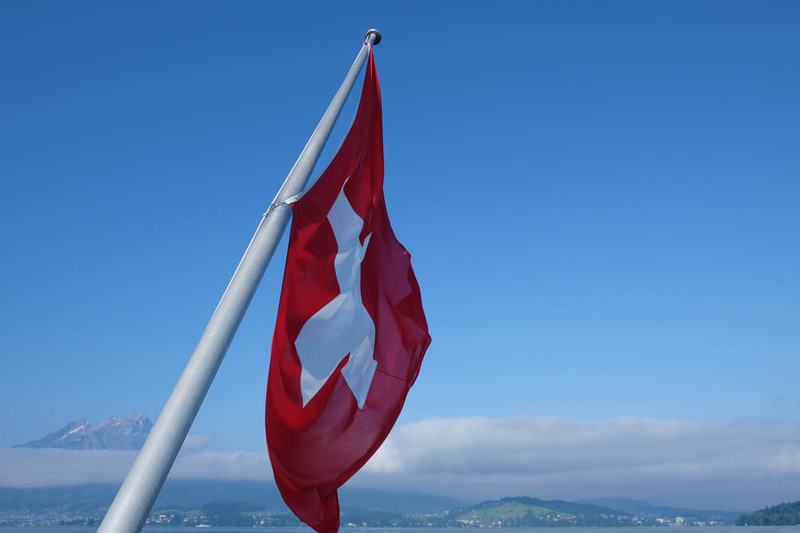 Our journey begins by boat to Vitznau, where we'll board a train and travel on Europe's oldest cogwheel railway – the Mount Rigi Railway – up the mountain. On a clear day, you'll see the snow-capped Alps, 13 lakes and across to Germany and France. After time to enjoy the view from the top of the mountain, we will drive to Zurich airport for our onward flight to Rome, where a two-night stay has been arranged. 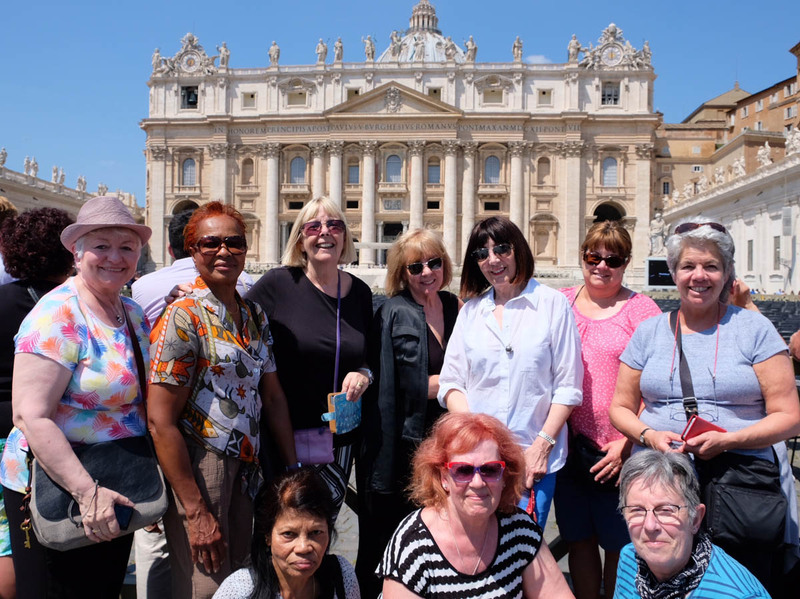 ​Today's included full-day tour of Rome is hosted by a Local Guide who will introduce us to many of the major sights of this historic city, including an exclusive guided tour of the Colosseum. Admire the Spanish Steps and toss a coin in the spectacular Trevi Fountain to ensure you return to the city one day. Dinner is included this evening. 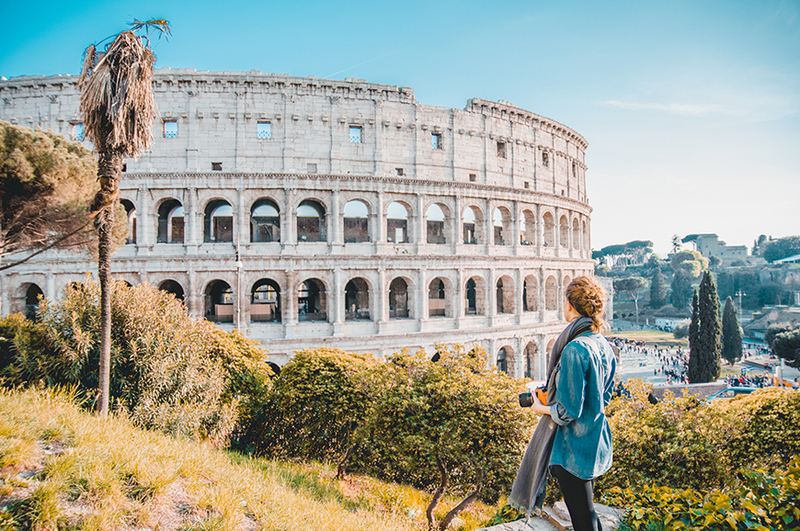 You can spend most of today exploring at your own pace, before meeting a Local Guide and heading off to discover more of Rome's highlights. 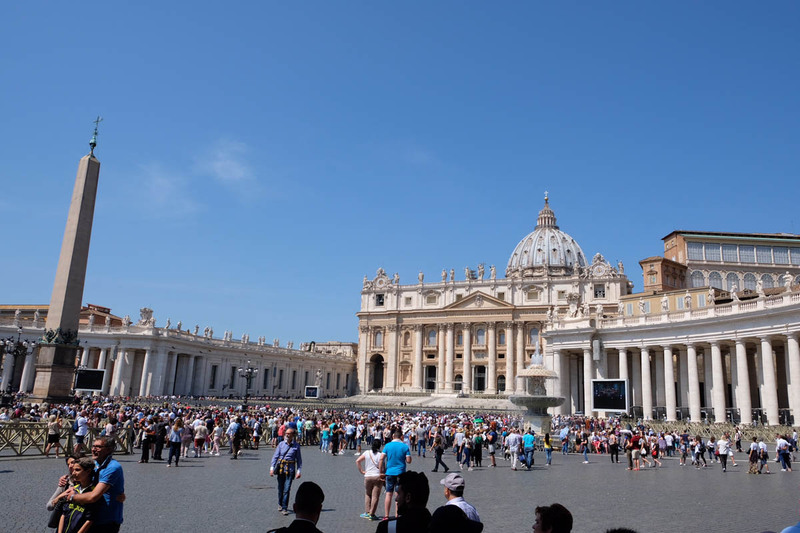 We'll pass St Peter's Basilica, the Mausoleum of Hadrian, usually known as Castel Sant'Angelo, Piazza Navona with its trio of majestic fountains, and the Pantheon, the most complete ancient building in the city. Later this afternoon we'll head to Delhi on an overnight flight. 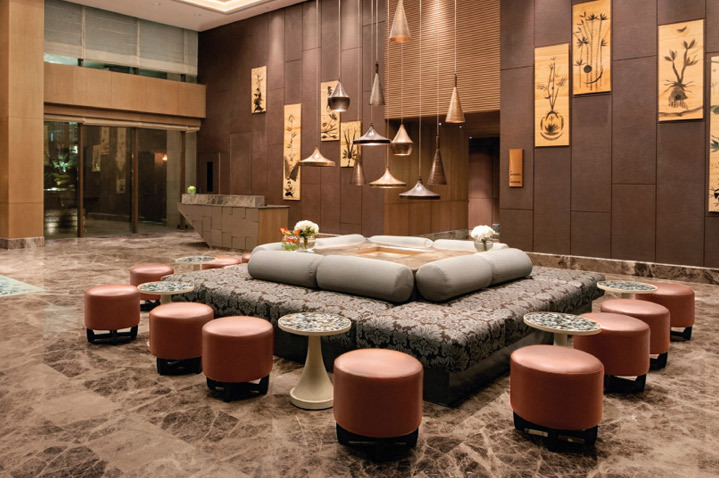 We'll stay in India's chaotic and dazzling capital for two nights. ​On today's tour of New Delhi, we'll see spacious tree-lined avenues and stunning examples of British architecture including the imposing India Gate and Parliament House. For a glimpse into Delhi's past we'll visit Humayun's Tomb, a stunning example of Mughal architecture said to have inspired the Taj Mahal, and Qutub Minar, a soaring five-storey sandstone tower. ​Today's highlight is a visit to the Taj Mahal in Agra. This spectacular monument was built by the Emperor Shah Jahan in memory of his wife Mumtaz Mahal. Close by is Mehtab Bagh, a centuries-old garden complex, which sits on the other side of the river. You'll get to see the Taj Mahal from here too, for equally wonderful views. Next stop is the red sandstone Agra Fort, where we'll have the chance to wander through the chambers of this former royal residence. Dinner will be served at the hotel this evening. ​This morning we'll fly to Singapore, arriving in plenty of time to settle in before dinner this evening. ​Our included tour of Singapore, a former British trading post founded by Stamford Raffles in 1819, starts with a cruise on a traditional bumboat to Merlion Park. We'll see the magnificent waterfall in the shape of the mythical Merlion before heading to the Civic District and Orchard Road, Singapore's famous shopping avenue. 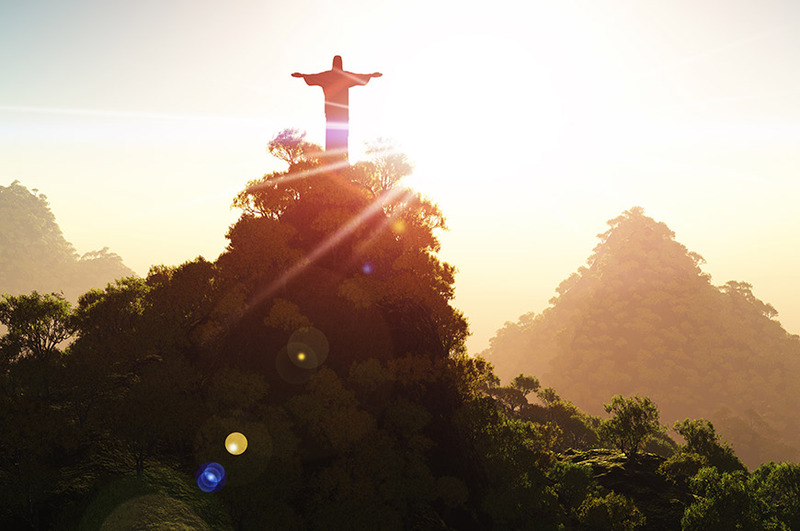 ​​Today you are free to relax at the hotel or explore further with your travelling companions. Alternatively, you could join our optional excursion to the Gardens by the Bay, a vast park consisting of three waterfront gardens and huge domed conservatories which house thousands of plants. We include a fabulous Singapore after dark tour this evening which begins with a stroll through Bugis Village, where hundreds of stalls sell literally everything! Next we head to the iconic Marina Bay Sands Hotel, where you could choose to sample the famous Singapore Sling cocktail. Afterwards we'll enjoy dinner at a local restaurant. ​Today we'll leave Singapore behind and fly to Hanoi, Vietnam's fascinating capital, arriving at our hotel in the afternoon. ​Our full-day sightseeing tour of Hanoi begins in Ba Dinh Square, where silent sentries guard the marble and granite mausoleum where Ho Chi Minh lies in state. Within this complex we'll also visit the imposing Presidential Palace and the modest stilt house where 'Uncle Ho' lived and worked. Before an included lunch we'll stop at the One Pillar Pagoda and the Quan Thanh Temple. After an afternoon visit to Hoan Kiem Lake and the Temple of Literature, we'll enjoy a walking tour of the Ancient Quarter and take in more sights on a relaxing cyclo ride. 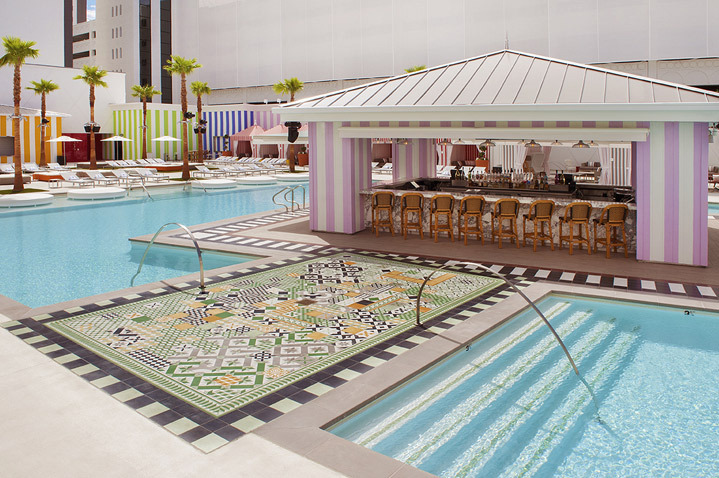 This evening, take your seat at an included Water Puppet show. ​Today you'll take a short flight from Hanoi to Bangkok. 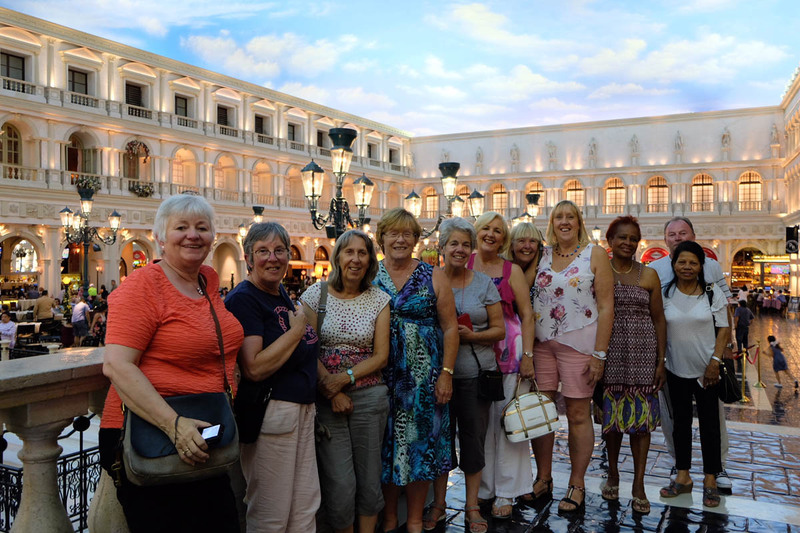 Enjoy an afternoon at leisure, relaxing with your fellow travellers. ​Our morning sightseeing tour of Bangkok begins at the Grand Palace, where we'll see Wat Phra Kaeo, Thailand's holiest site, and the beautiful Emerald Buddha. The tour continues to Wat Pho, the oldest and largest Buddhist temple in Bangkok, famed for its incredible Reclining Buddha. 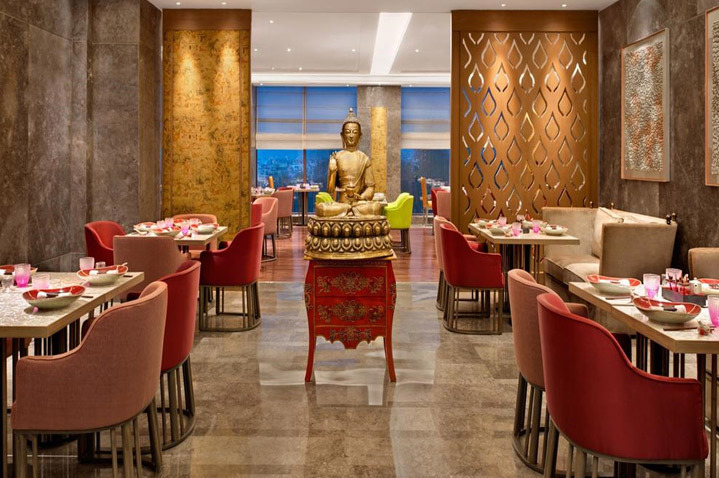 After a free afternoon, We'll gather as a group to enjoy aromatic Thai cuisine at dinner tonight. 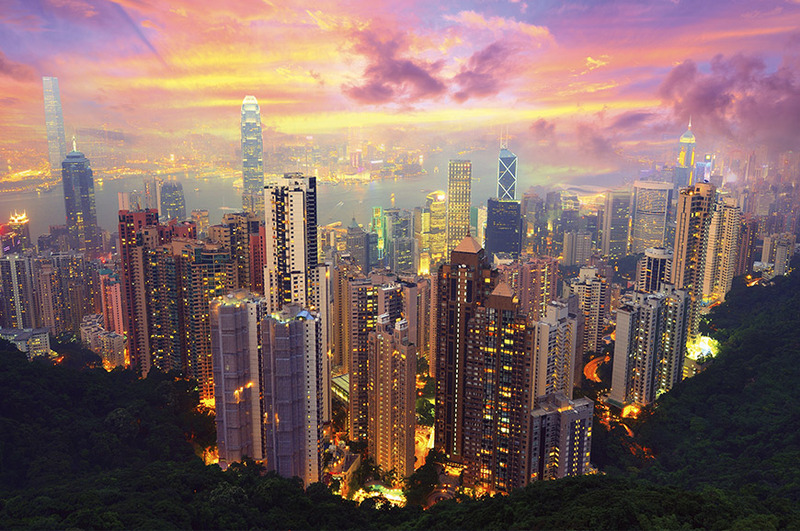 ​China is our next destination, with our flight taking us to Beijing, where we'll stay for three nights. 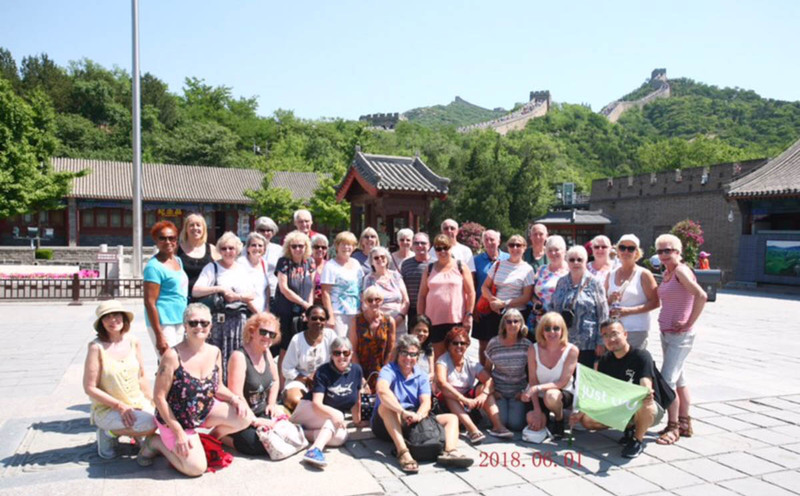 ​Today's included tour starts in Tiananmen Square, the largest public square in the world, which is bordered by the Qianmen Gate, the Great Hall of the People and the Gate of Heavenly Peace. 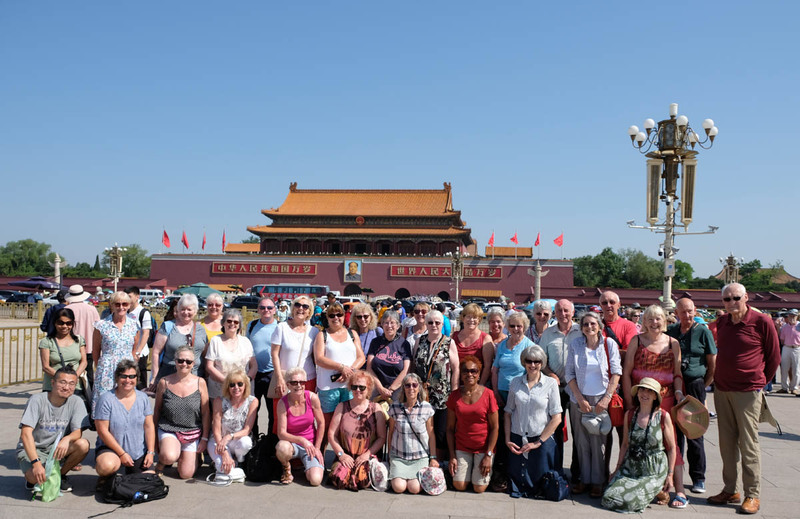 We'll go through the gate, which forms the entrance to the incredible Forbidden City, to marvel at the magnificent buildings that house the Imperial Palace from which China was ruled by the imperial dynasties for hundreds of years. After lunch we'll visit the Temple of Heaven, where a guided tour will introduce us to a magnificent art collection. Today we'll head to the iconic Great Wall of China. 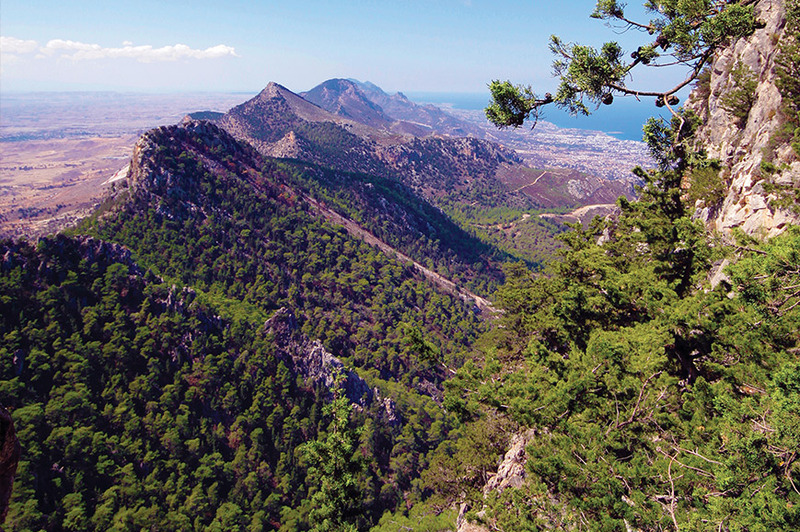 We'll take a walk along its historic ramparts and marvel at its sheer scale before we stop for lunch. This afternoon a visit to the Summer Palace is included. ​Today we'll leave Beijing and head to Seoul in South Korea for a two-night stay. This morning's included excursion takes us to the demilitarised zone, or DMZ, one of the last relics of the Cold War. Stretching for 2km either side of the border between North and South Korea, this area is full of fascinating historical sights. In the evening we offer an optional visit to the Korea House restaurant, for yet more authentic cuisine and a traditional Korean show. On our tour today we'll discover all of Seoul's highlights, which include the royal Gyeongbok Palace, Korea's captivating Folklore Museum and the South Gate Open Market. 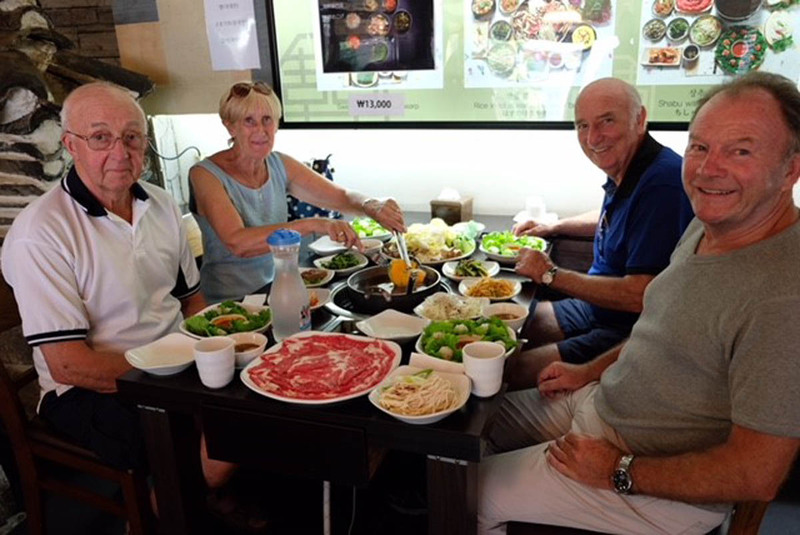 We also include a unique lunch experience today – a Korean barbecue cookery lesson. This afternoon we will visit to Seoul Tower, which soars to more than 230 metres above sea level, and this evening we'll take an overnight flight to Sydney. 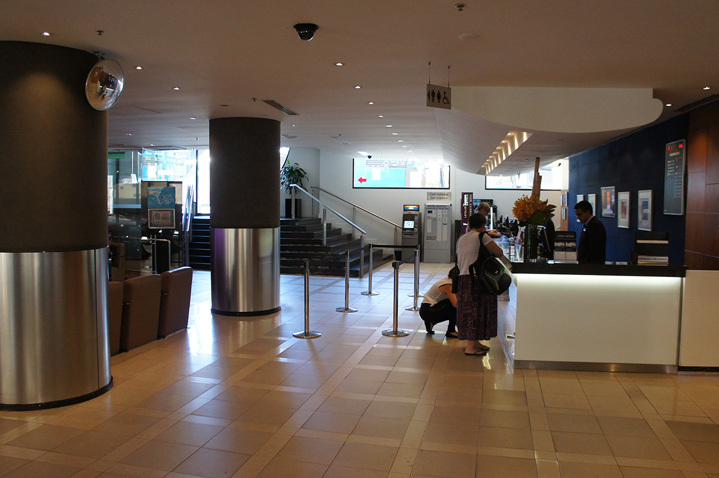 ​On arrival in Sydney today, we'll check into our hotel and enjoy a day at leisure. With a three-night stay, there's plenty of time to explore. Sydney is Australia's biggest city, although the centre is surprisingly compact and can be explored easily on foot. 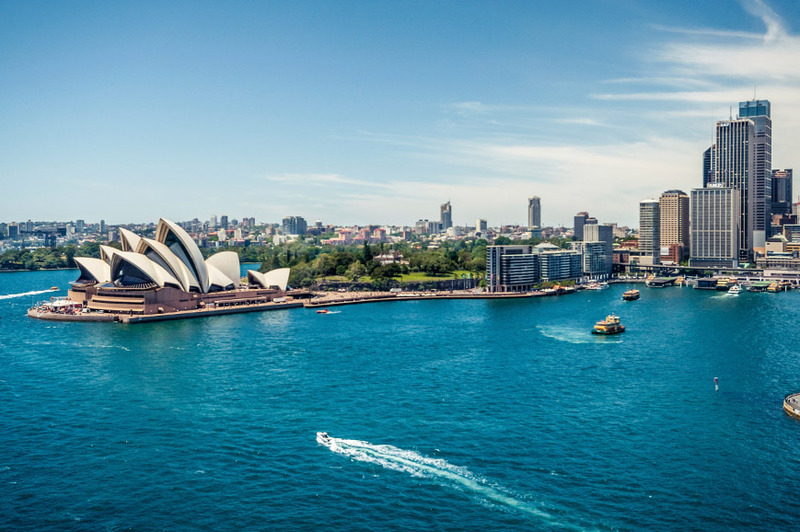 The world-famous Harbour Bridge and Opera House dominate the vast and picturesque harbour and are thrilling sights to the first-time visitor. 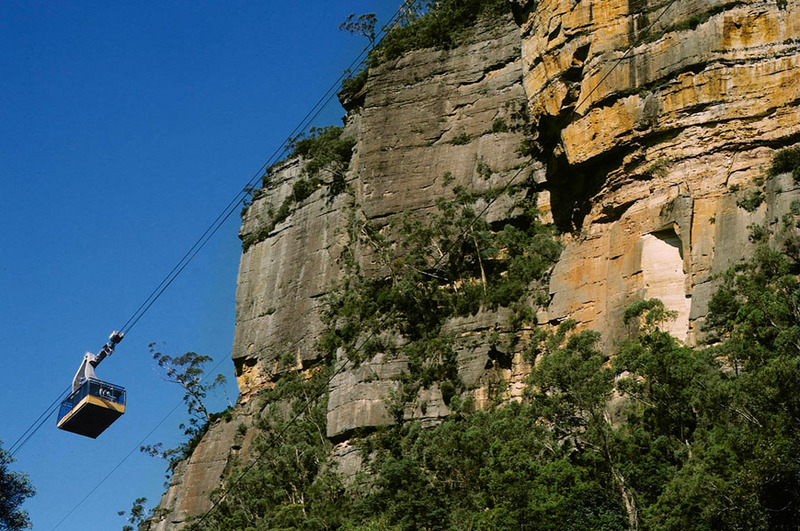 Our included sightseeing tour this morning will introduce highlights such as Bondi Beach, Hyde Park, Darling Harbour and Mrs Macquarie's Chair – a rock cut into the shape of a bench which offers one of the best vantage points in the city. 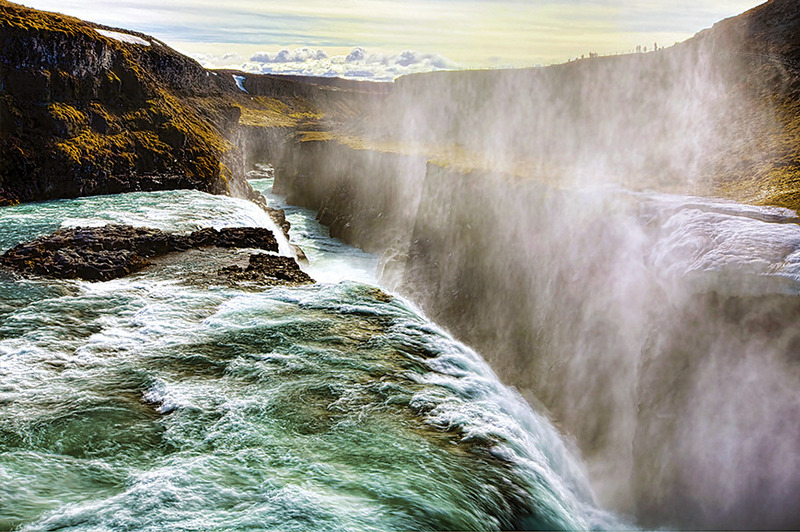 The rest of the day is yours to explore as you please. 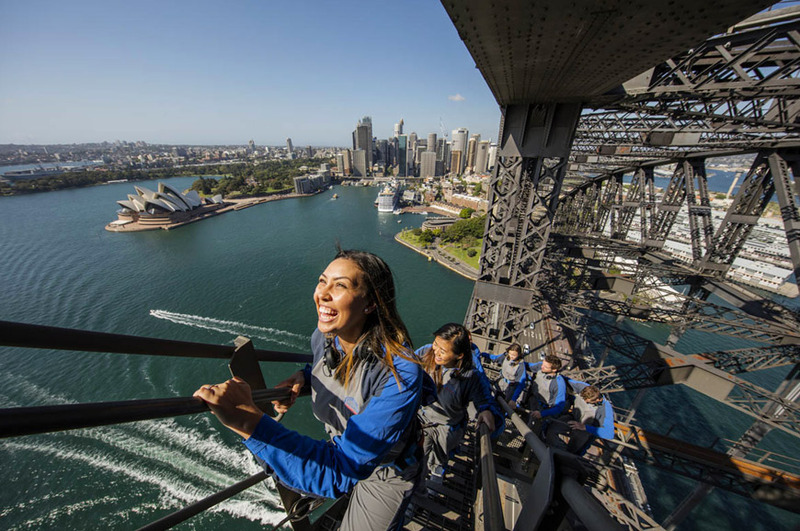 You could opt to join one of our optional excursions, how about a cruise around Sydney Harbour or the world-famous Sydney Harbour Bridge climb. We fly to Auckland in New Zealand today, where we will stay for two nights. ​The beautiful city of Auckland is situated on North Island in the spectacular Hauraki Gulf. 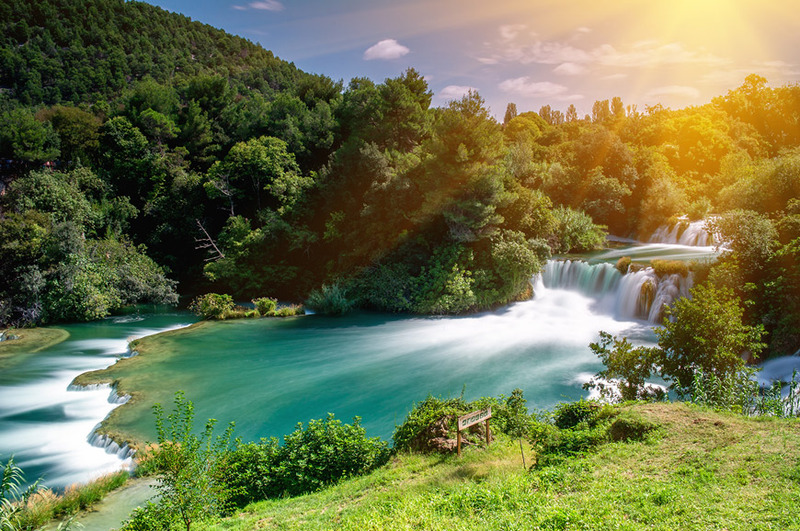 Here you'll find a subtropical climate, thermal springs and geysers, rich farmland, glorious national parks, luxuriant forests, stunning lakes and more. We'll see all the highlights on an included city tour today. 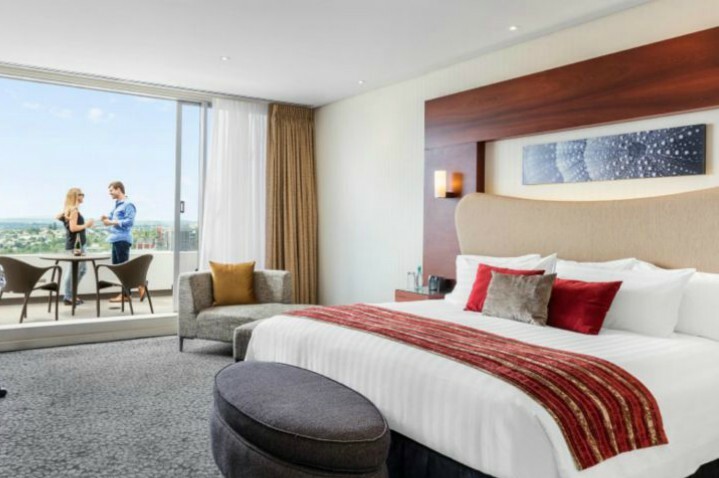 ​Today you have a full day in Auckland to explore at leisure with your travelling companions, or perhaps you'd prefer to relax before our evening flight to Los Angeles. 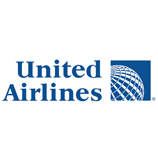 We will cross the International Date Line on this flight and therefore we will arrive in Los Angeles around lunchtime the same day. Here you'll stay in unique accommodation, the famous Queen Mary, a retired ocean liner, which is now a hotel. The rest of the day is at leisure, so why not start your explorations with a look around the ship, which also houses a museum and offers tours. We'll get to know Los Angeles today on an included morning sightseeing tour of this sprawling city. Highlights include Hollywood, where we'll see the TCL Chinese Theatre, whose courtyard features the hand and footprints of more than 200 stars of stage and screen. Later this afternoon we'll visit the chic coastal resort of Santa Monica, where you can take a stroll along the 100-year-old pier, a landmark which is lined with attractions including its famous Ferris wheel​. Today we'll travel to the glittering neon wonderland of Las Vegas. 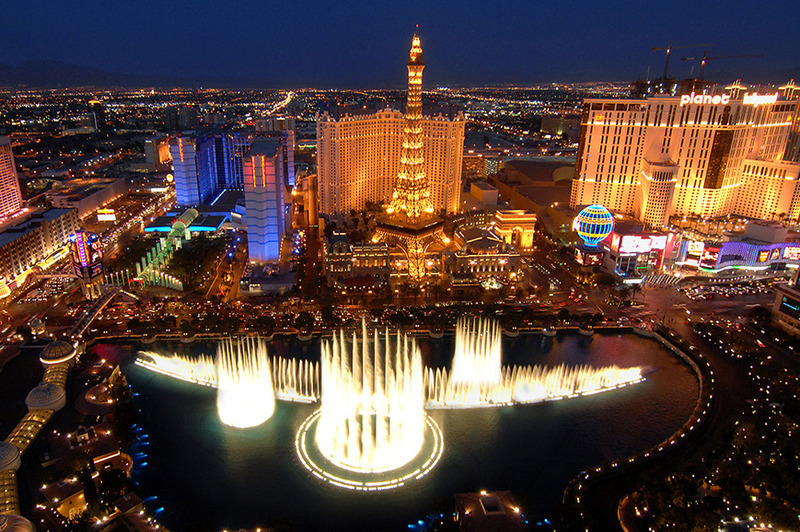 This evening, why not join an optional Las Vegas by night tour to see this desert city spectacularly illuminated. 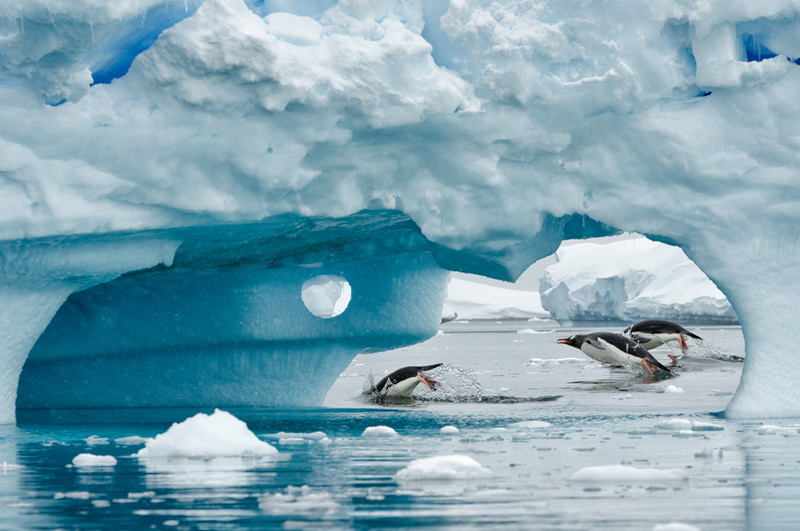 ​We've left today free for you to make your own discoveries. An optional flight over the awesome Grand Canyon is an exciting possibility. 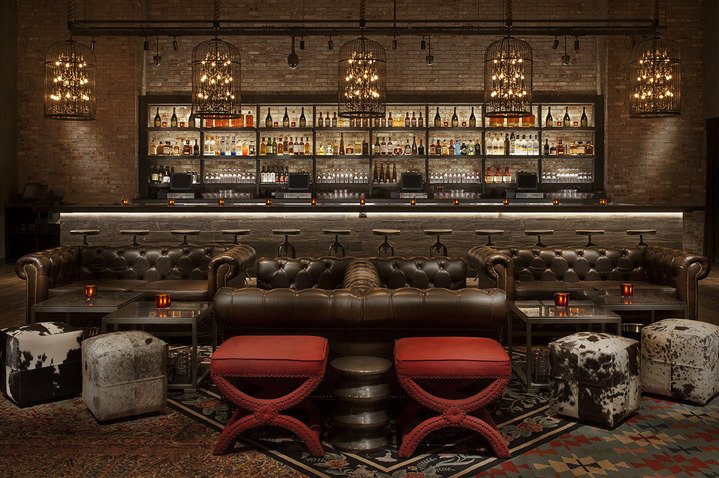 ​The next leg of our journey takes us to the thrilling city of New York, where our hotel, in the heart of midtown Manhattan, is our base for the next two nights. On arrival you may choose to head to Times Square to admire the neon lights which illuminate every structure. Later, why not enjoy an evening out with your travelling companions. You might even want to take in a Broadway show. ​Today we include a half-day tour with a Local Guide, who will introduce us to New York's numerous highlights. This evening, we'll enjoy a fabulous dinner cruise on the Hudson River. 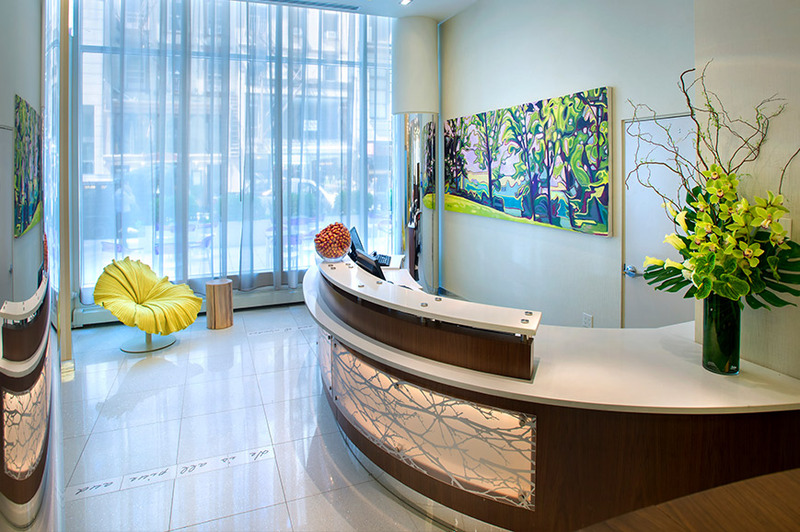 ​Explore New York at leisure before we transfer to the airport for our overnight flight back to the UK. We'll arrive back in the UK this morning. 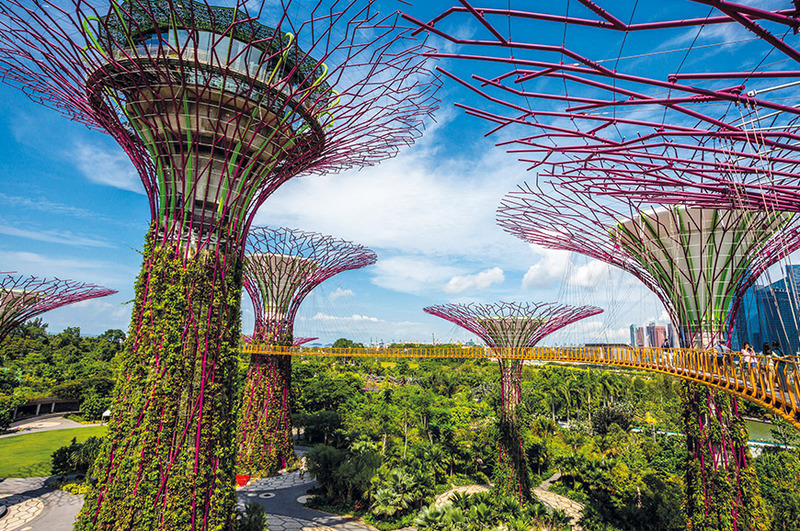 Explore Singapore’s first step toward becoming a city in a garden - and one of the city skyline’s most futuristic additions - with a tour around the famously colourful Gardens by the Bay. 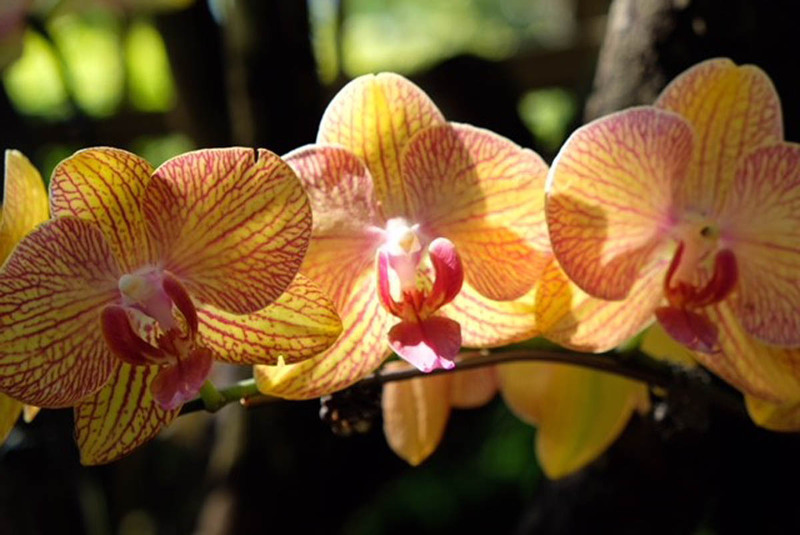 Begin by stepping inside two indoor conservatories, Cloud Forest and Flower Dome. Housed within enormous glass domes, these are the structures that tower over surrounding urban stretches. Stop and smell the aroma of the multi-coloured Flower Field, a regularly changing floral display that reflects seasons, festivals and themes. Peer up at Cloud Forest’s 35-metre high indoor waterfall - the highest in the world - before heading to the Supertree Grove. These man-made “super trees” are not only enormous, but boast a suspected walkway between them perfect for aerial views of the park. Prepare to be absolutely dazzled by the city whose lights beat them all! Get into the mood of this unashamedly brash neon city as we “Cruise” the world-famous ‘Strip’ and downtown area. 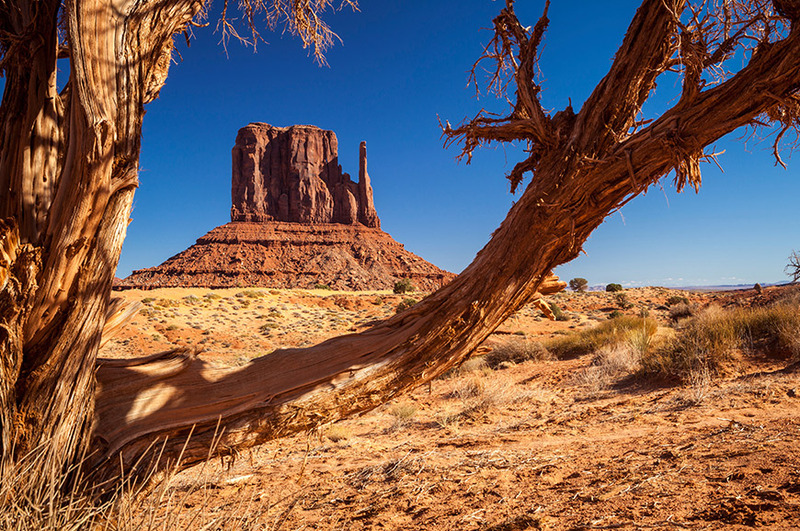 Soak up the razzle-dazzle from your comfortable air-conditioned coach as we show you the lights and stop for some fascinating sights along the way, all with fascinating facts about this glamorous modern oasis in the desert. Evening Tour - Minimal Walking - Must See! 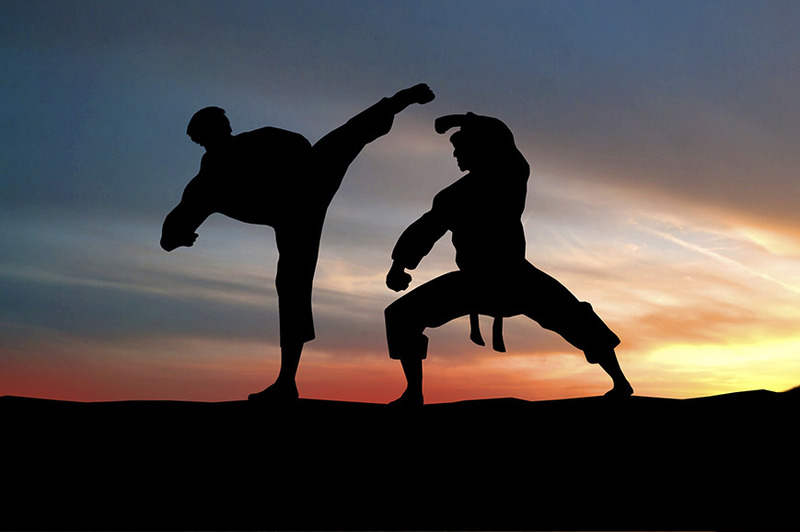 Using traditional Martial Arts & Modern Theatre, the Legend of Kung Fu follows the story of a young boy found wandering outside an ancient temple. Like every boy in China, he dreams of becoming a Kung Fu master. On the road to enlightenment the young monk encounters many difficulties and temptations when overcoming his fears of becoming a Master of Kung Fu. The show has English subtitles shown above the stage to keep you informed of the story line. The actors do not speak; the show is all Kung Fu, dance and acrobatics. It is the fusion of modern dance with Chinese traditional arts which make this performance unique and spectacular. The best Kung Fu performers from all over China have been found for this production and it shows on the stage. Their average age is just 17 years old. 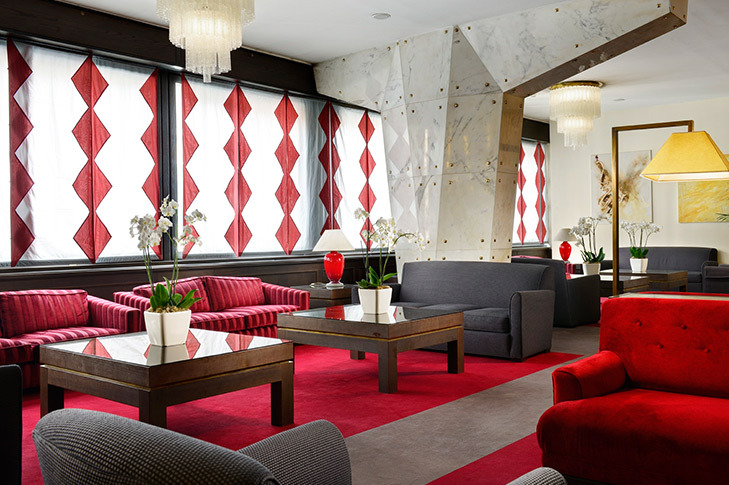 You will stay at the 4-star Hotel Astoria located in the heart of Lucerne. 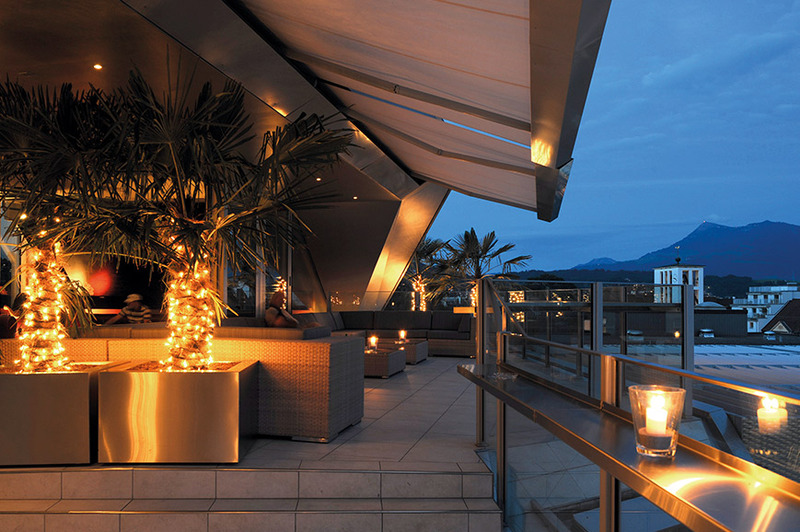 The hotel boasts three award winning restaurants and a rooftop garden lounge and bar with panoramic views across the mountain landscape and rooftops of Lucerne. 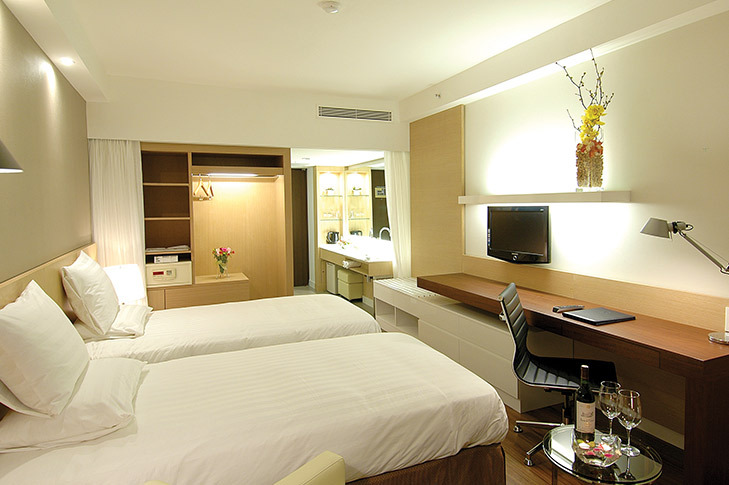 Rooms are spacious, comfortable and light with air conditioning to ensure a comfortable climate. 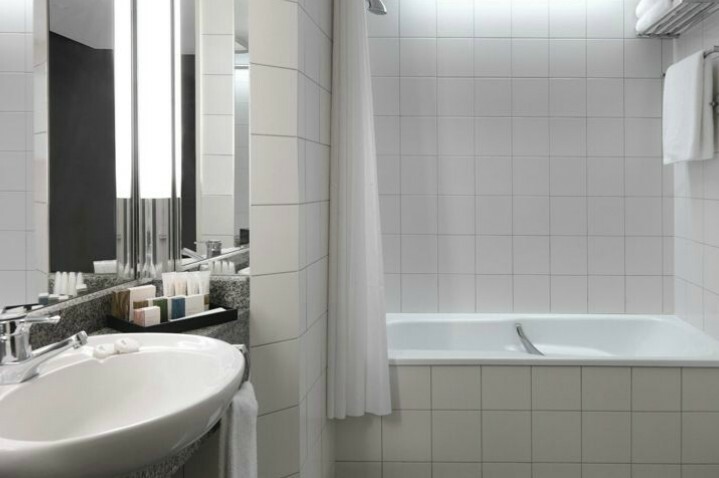 You will also find a safe, minibar, complimentary Wi-Fi, flat-screen TV and a nespresso coffee machine in your rooms for your use and the rain shower in your modern, spacious bathroom, giving you a spa experience. 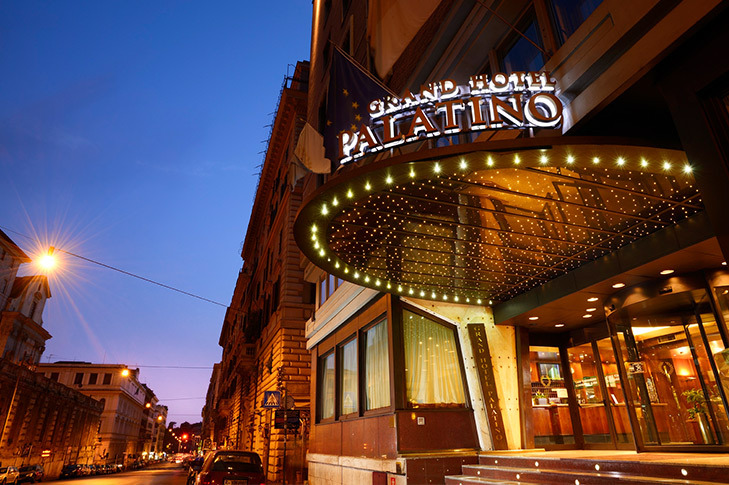 Your hotel is perfectly located in the heart of Rome, close to many of its wonderful attractions including the Colosseum, the Roman Forum and Piazza Venezia. 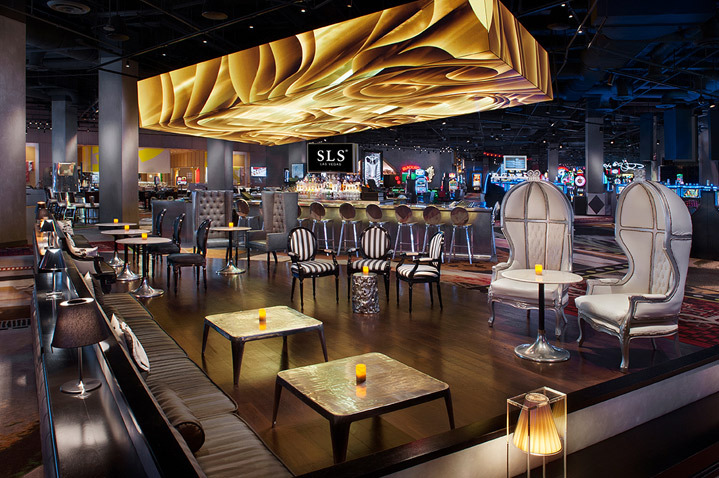 Hotel amenities include a restaurant, bar and lift. 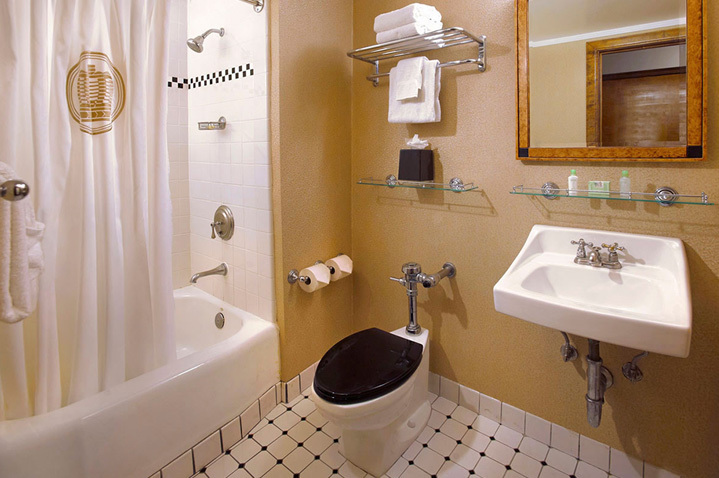 Guest rooms feature private facilities, air-conditioning, safe and hairdryer. 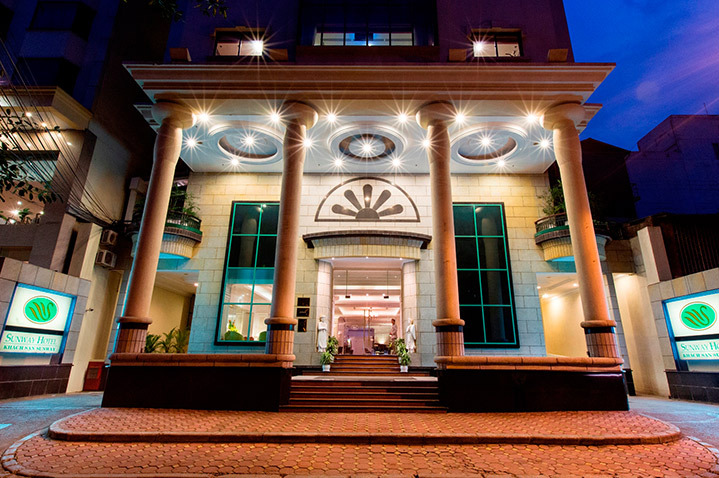 The Leela Ambience Convention Hotel is a five star property that is only 20 minutes from Delhi’s city centre. There are a vast array of excellent facilities at the hotel, which are complemented by the first rate service guests receive. There are two outdoor swimming pools, a spa, sauna, hot tub and even a salon. 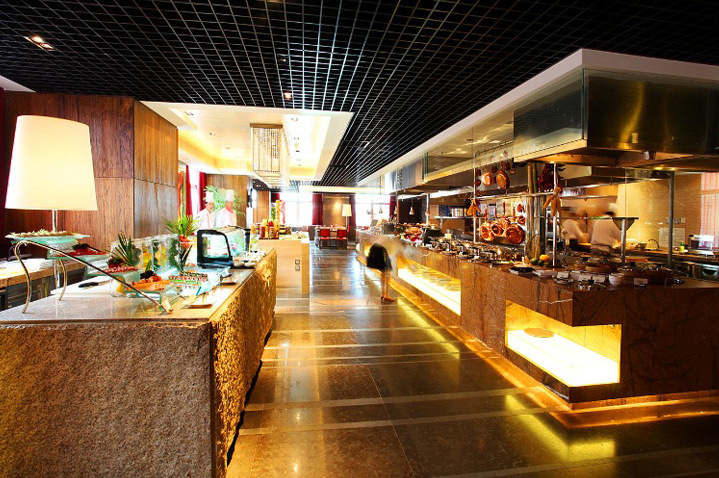 There are a range of amazing restaurants that serve dishes from all over the world. Rooms are furnished with a minibar, coffee/tea making facilities and a flat screen TV. 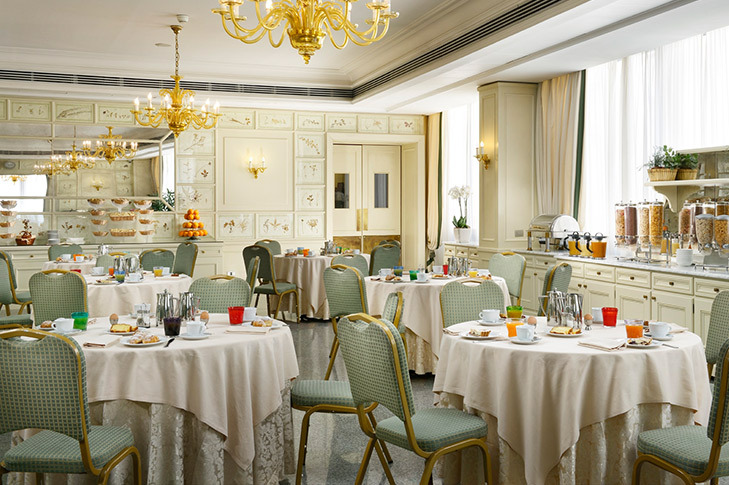 In the private facilities, guests will find a hairdryer and free toiletries. 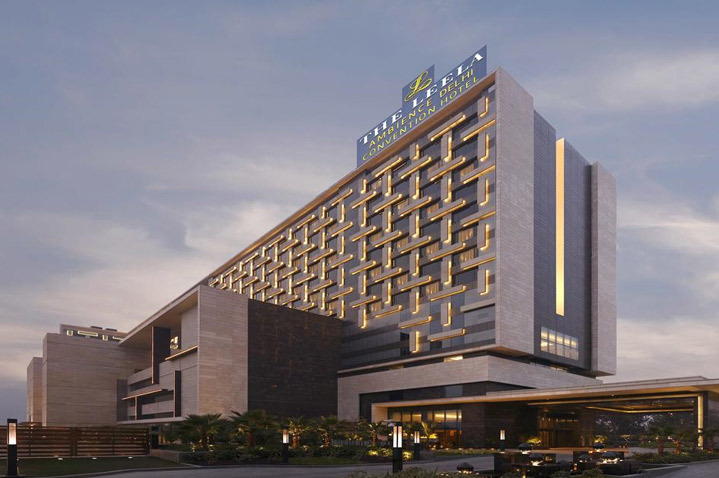 The 4-star Park Regis Singapore is centrally located within close proximity to the city’s popular entertainment, dining and cultural hubs of Clarke Quay, Boat Quay and Chinatown. 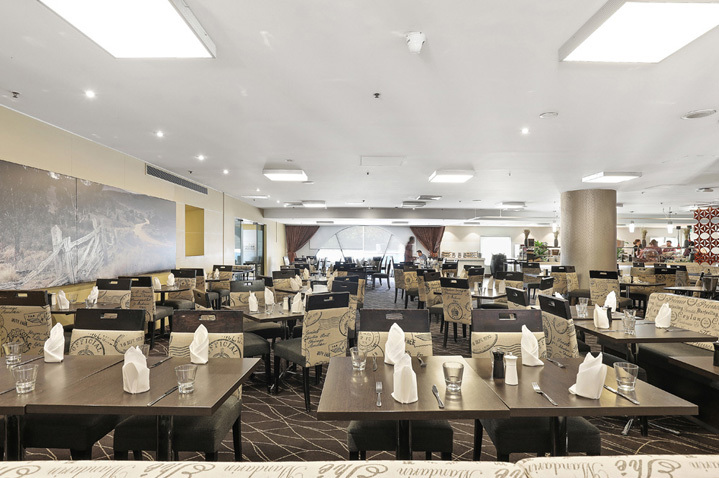 Hotel facilities include a restaurant, bar, outdoor swimming pool and gym. Bedrooms have private facilities, air-conditioning, TV, coffee/tea-maker, mini-bar and hairdryer. 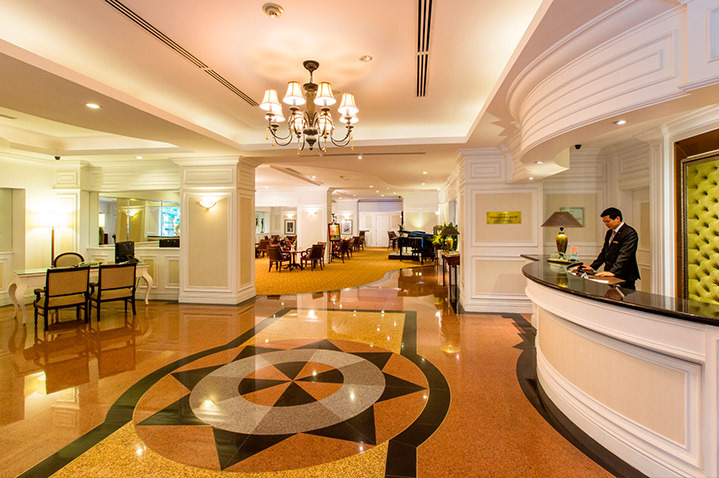 The 4-star Sunway Hotel is located close to a host of Hanoi's attractions including its Old Quarter. 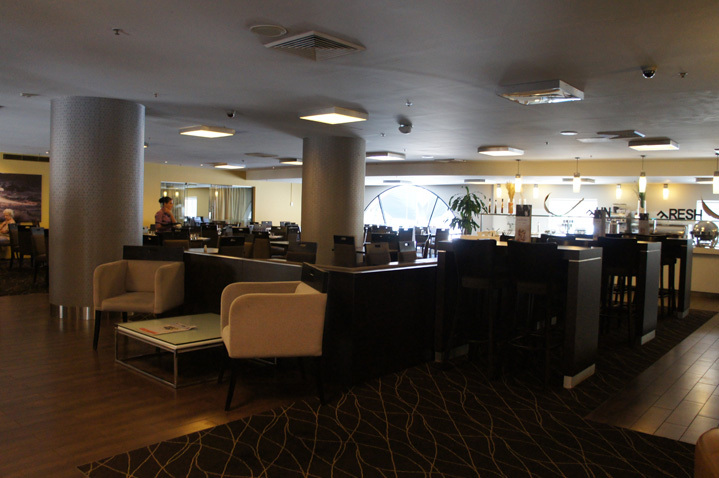 Hotel facilities include a restaurant, lounge, coffee shop, health club and sauna. 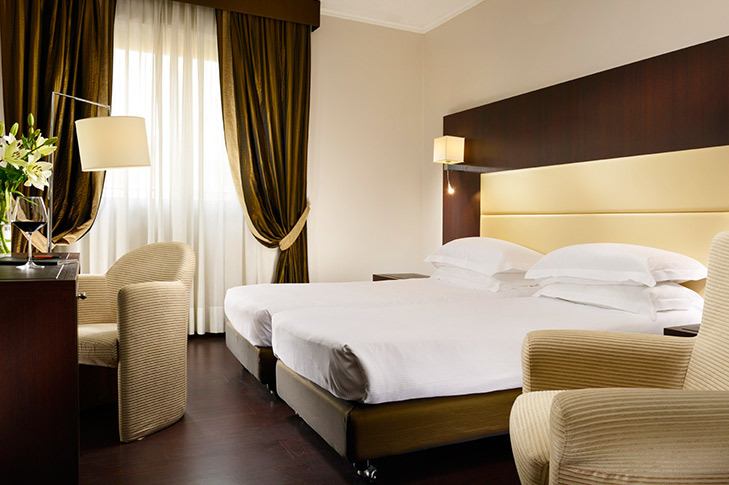 Bedrooms have private facilities, air-conditioning, TV, mini-bar, coffee/tea-maker, safe and hairdryer. 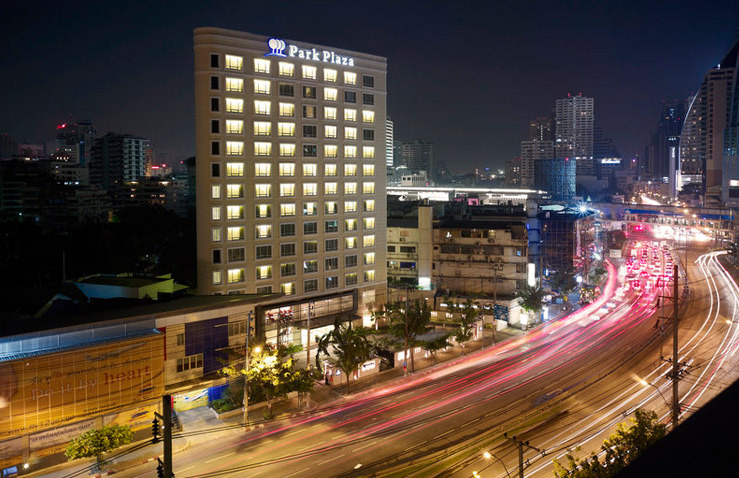 The Park Plaza is situated in a central location of Bangkok. 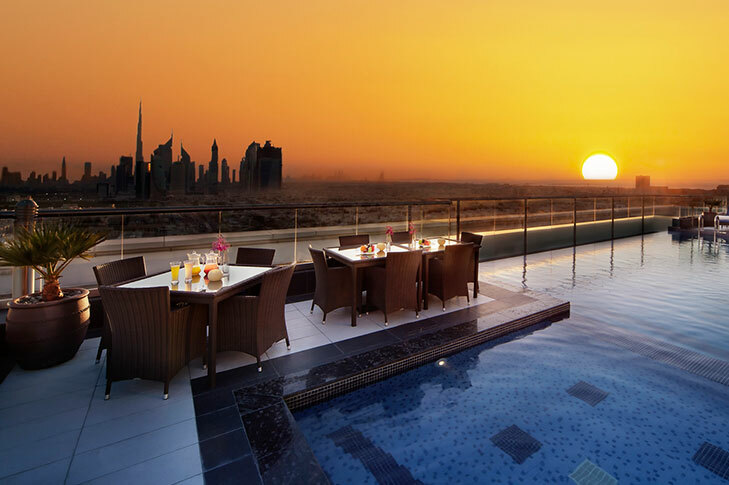 Hotel features a restaurant, and rooftop swimming pool. Rooms have air-conditioning, TV, DVD, fridge, ironing board, hairdryer, tea/coffee making facilitates and private bathroom. 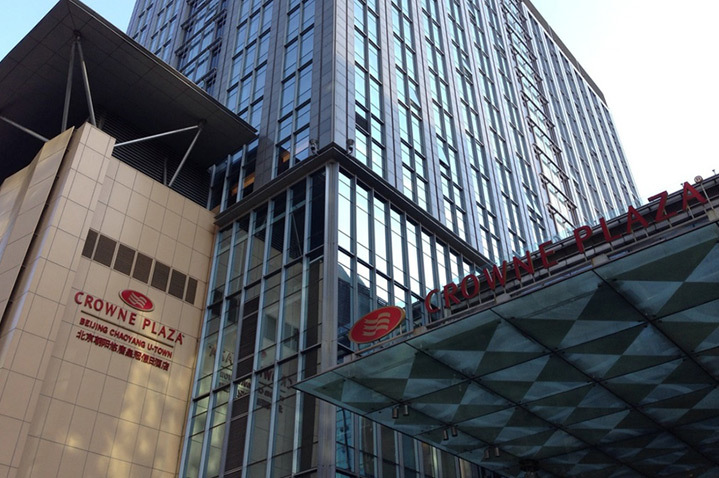 The Crowne Plaza U-Town Beijing is situated directly next to Beijing U-Town, which is home to a variety of shops and restaurants, making it perfect for relaxing and entertainment. 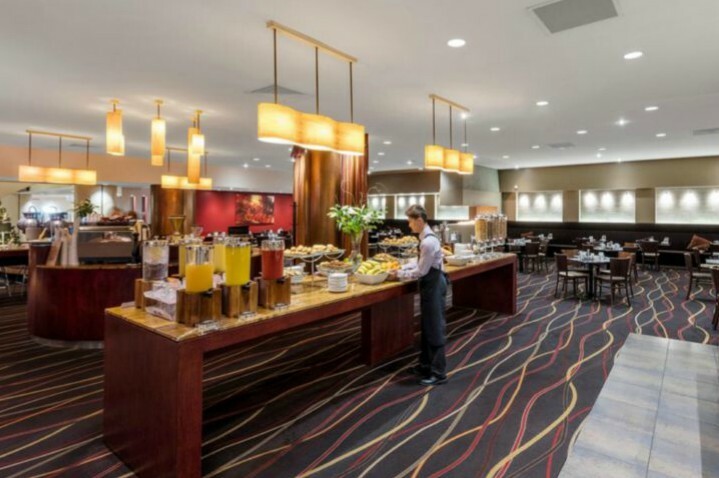 Other hotel amenities include an indoor pool, fitness centre, bar and Hopfenstube German restaurant. 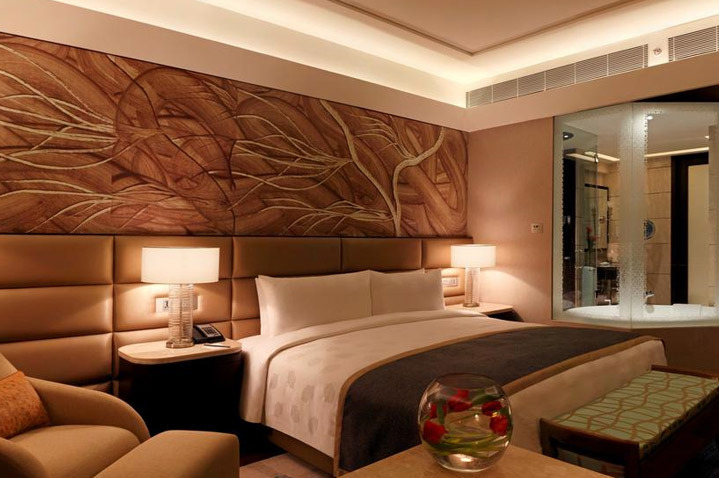 Rooms are furnished with private bathrooms, minibar, air-conditioning and flat-screen TV. 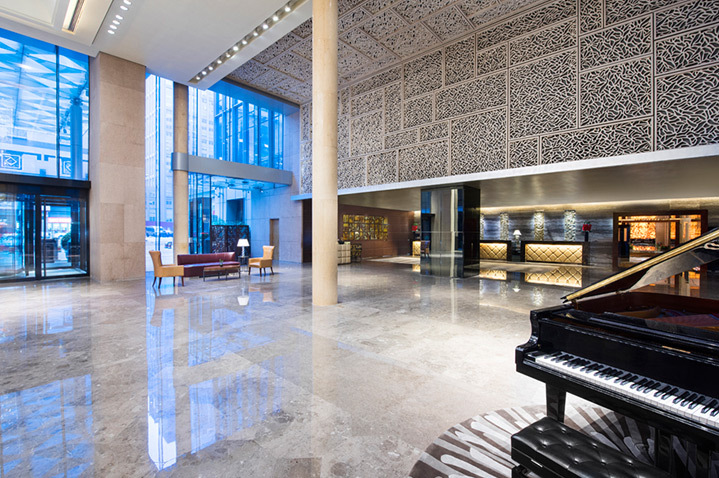 Best Western Premier KUKDO Hotel is located in Seoul's central Jung-Gu area. 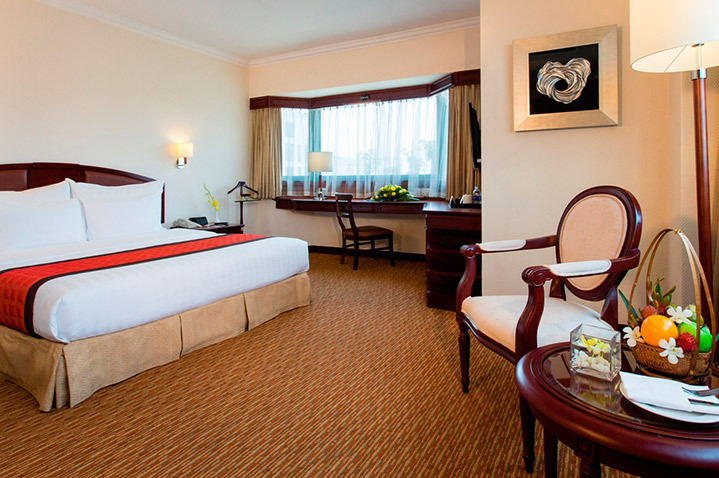 It offers spacious and modern rooms with en-suite facilities. Rooms further benefit from flat-screen TVs, air-conditioning, bottled water and tea/coffee making facilities. 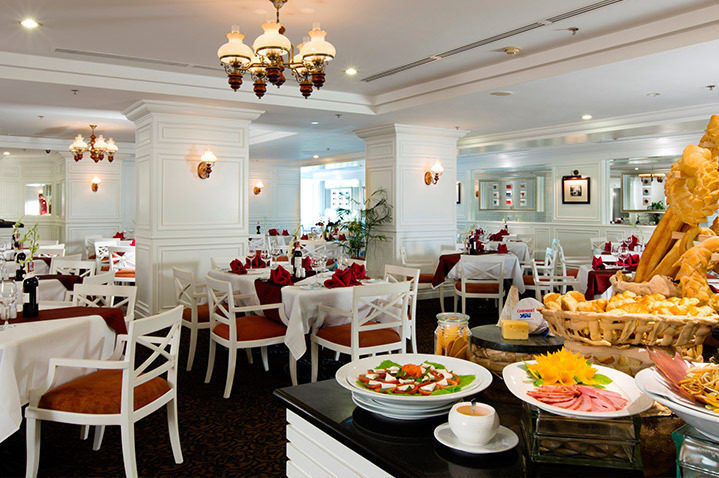 Guests can enjoy both local specialities and Western dishes in the Patio Restaurant and Bar, located in the hotel. 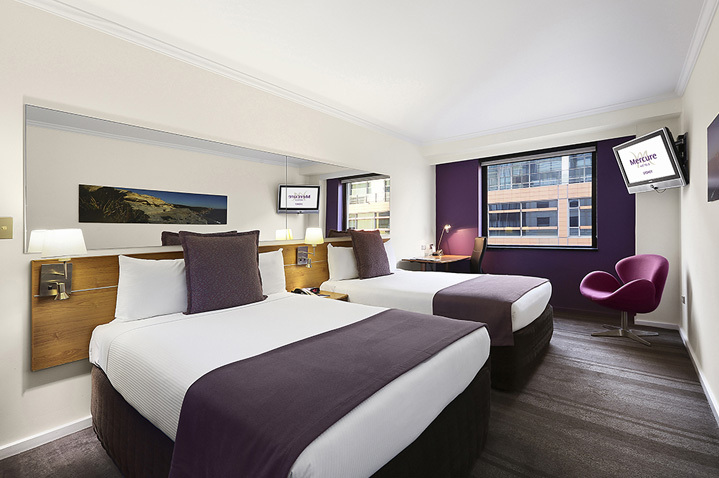 This modern hotel provides convenient accommodation in the Sydney CBD. 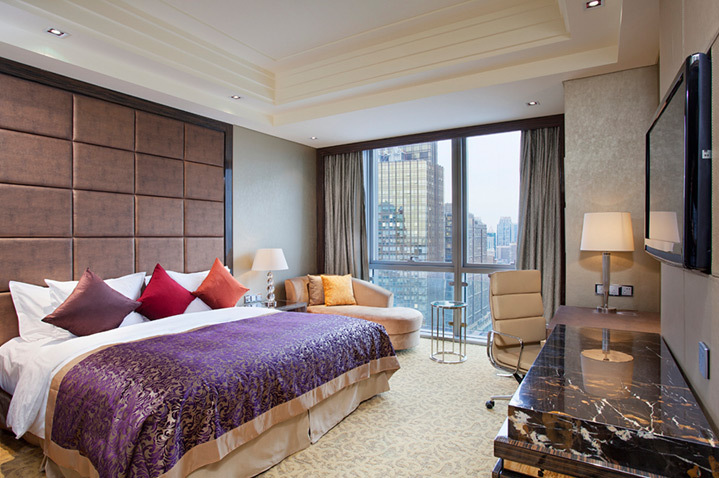 Air-conditioned rooms feature flat-screen TVs, a refrigerator and tea/coffee-making facilities. 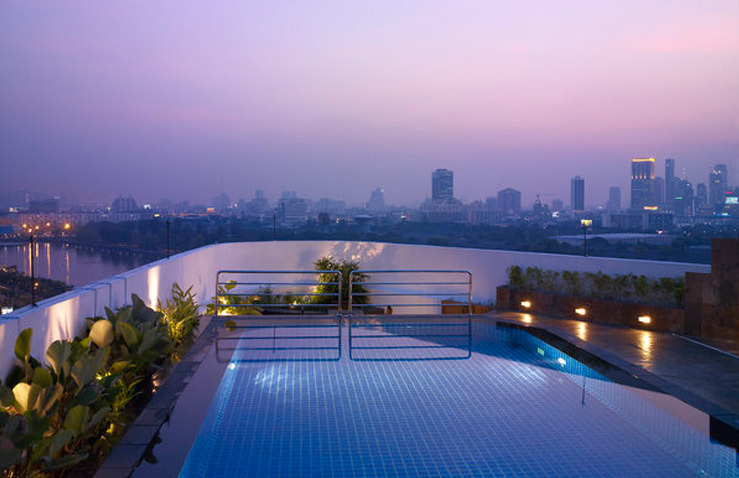 Other hotel facilities include a rooftop swimming pool with panoramic city views, a sauna and a fitness centre. The Four Elements Restaurant, located on-site, serves both Australian and international cuisine, while a wide selection of cocktails and wines can be enjoyed at The Four Elements Lounge and Bar. 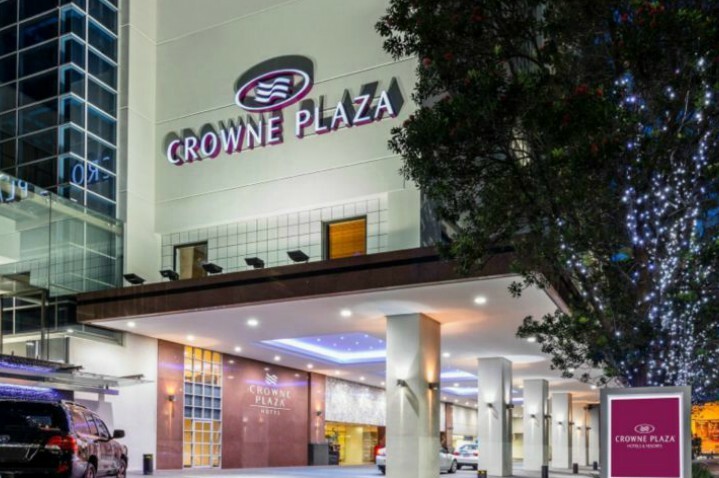 Crowne Plaza Auckland is situated within walking distance from a range of shopping and dining options on Queen Street. It is also in close proximity to main sightseeing attractions of Auckland. 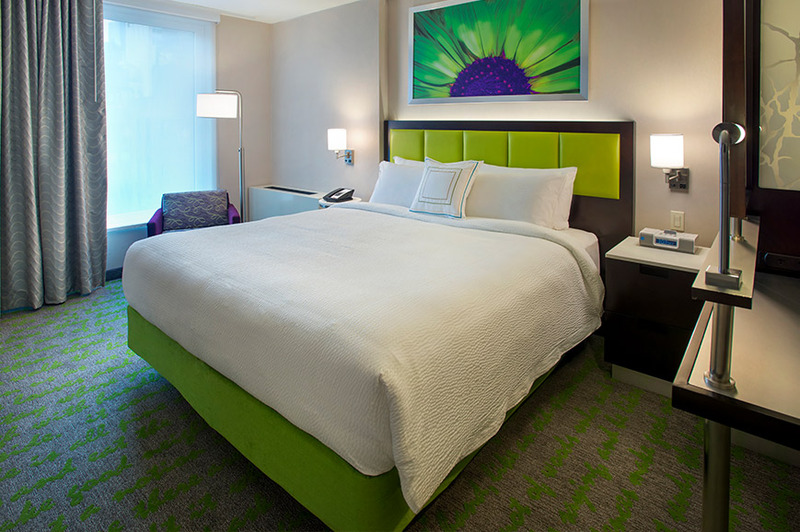 Modern rooms feature en-suite facilities, flat-screen TVs and sleep-aid aromatherapy kits. Wi-Fi is also available for a fee. Other hotel facilities include gym, sauna, a lobby cocktail bar and a restaurant. 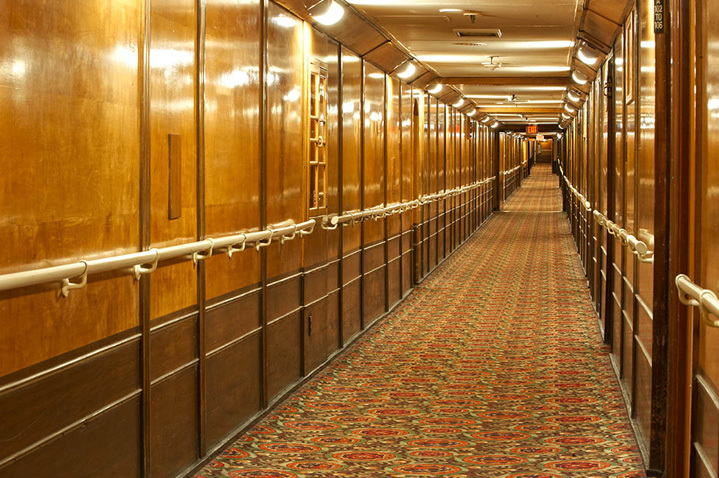 The Queen Mary offers a unique opportunity to stay overnight in the hotel aboard an iconic 1936 ocean liner stationed in Long Beach. 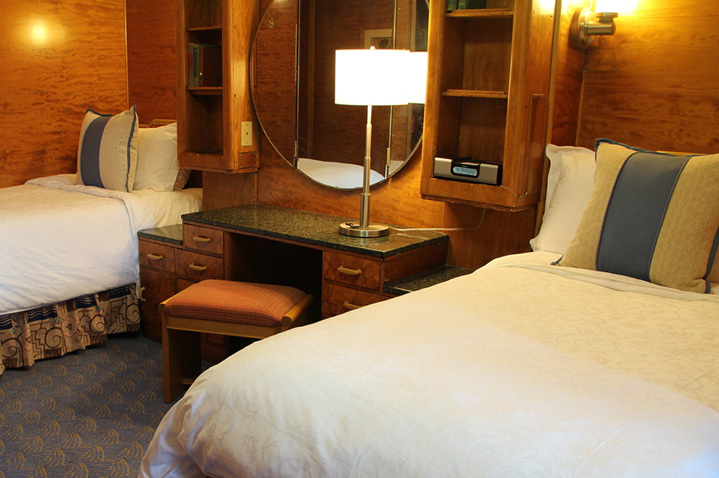 Spacious air-conditioned cabins include free Wi-Fi, flat-screen TVs and iPod docks. 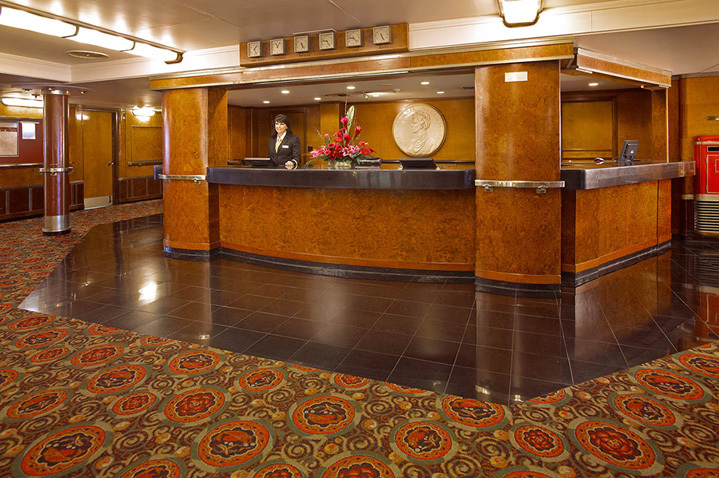 Other amenities include a day spa, a tearoom on the sundeck and a 1930s-style bar with original artwork. Various dining options available in number of restaurants located aboard. 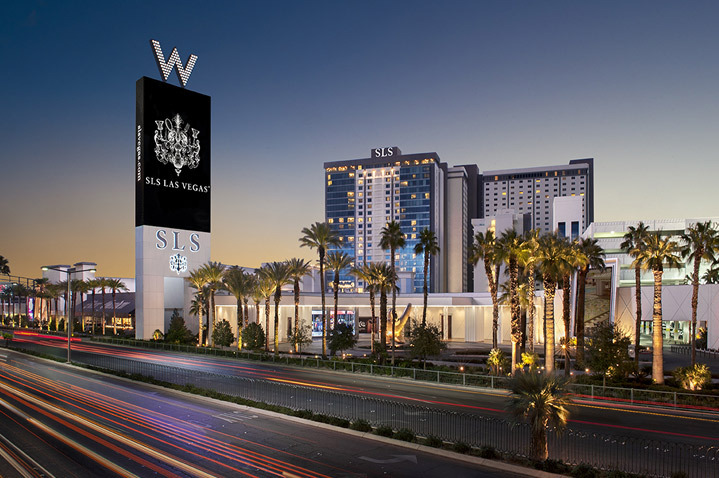 Elegant hotel rooms decorated by Phillippe Starck feature sitting areas and spa toiletries in the en-suite bathrooms. Free Wi-Fi and flat-screen TVs are also featured. 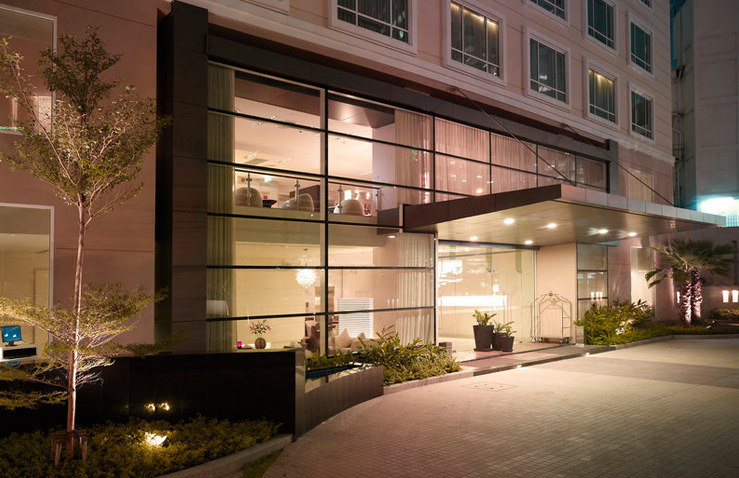 Other hotel amenities include seasonal outdoor pools, spa and wellness centre and numerous gourmet restaurants. 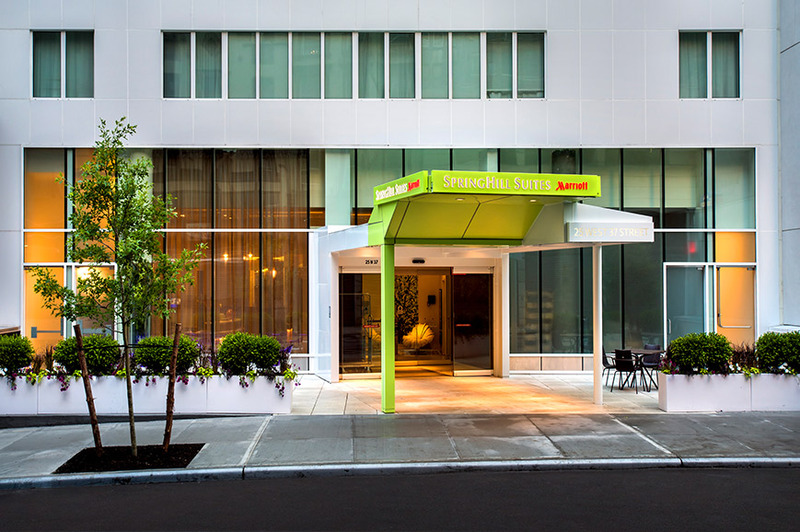 SpringHill Suites is a stylish, contemporary hotel in the heart of Manhattan and within walking distance of many of the city’s main attractions, including the Empire State Building. A huge variety of shops and restaurants are right on your doorstep, such as iconic Macy’s. Hotel facilities include a fitness centre. Bedrooms have private facilities, living/sitting area, air-conditioning, Wi-Fi, hairdryer, tea/coffee-making facilities and mini-fridge. 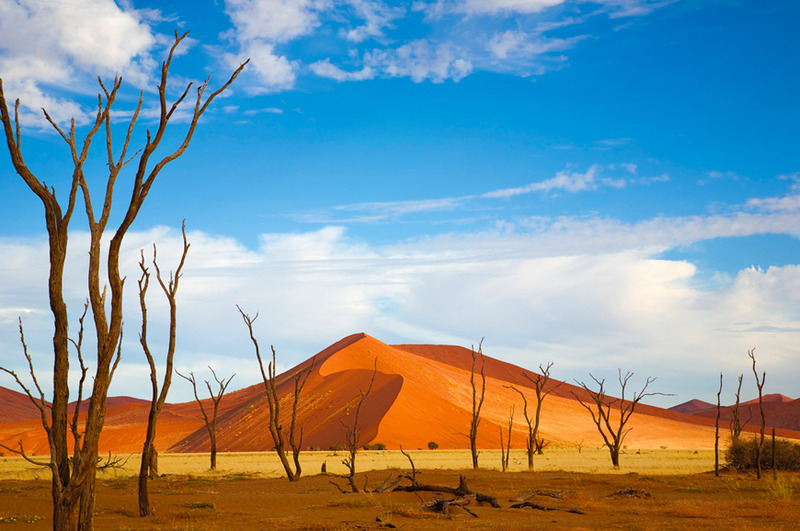 Please note: images shown below are supplied by a Just You Tour Manager and are representative of this tour but we cannot guarantee that all destinations or activities shown will feature on a particular departure. Please click on the images below to view full screen.